Papunya Community Store directors have enlisted the help of remote retail specialists Outback Stores to help improve food affordability and availability. A basket of 10 everyday staple products including bread, milk, eggs, flour, oats, weet-bix and rice is now over $20 cheaper than under previous management. The community has quickly noticed the changes Outback Stores has made. “Our prices are much lower now, cheaper than other shops. 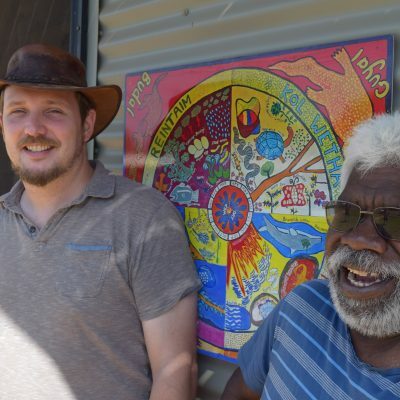 People are not spending as much money, it’s really good.” said Papunya Community Store director Sammy Butcher. The store now receives a weekly delivery ensuring that the store has great quality fresh fruit and vegetables, as well as meat and dairy readily available at good prices. Previously the store was only serviced every second week. “It’s not easy to have affordable prices in remote community stores. Small shops in the bush don’t have the buying power of the larger supermarkets in town, they have much higher transport costs and it takes longer to get stock into stores. For us it’s all about working closely with our suppliers to make sure we keep costs as low as possible and pass them on to people in remote communities.” said Outback Stores CEO Michael Borg. “We will also be working closely with the directors and the broader community over the coming months to engage more local people with employment and training as well as working on making positive changes with health and nutrition outcomes” he said. Minister for Indigenous Affairs Nigel Scullion congratulated the Papunya Community and Outback Stores on achieving this milestone. “The Australian Government is proud to be funding Outback Stores to ensure remote communities such as Papunya can have access to healthy and affordable food,” Minister Scullion said.